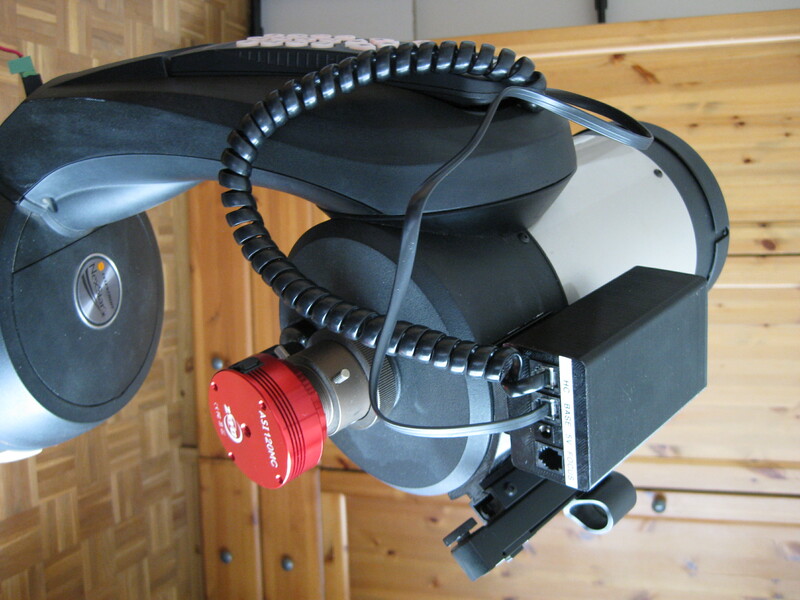 This on-going project is a Wifi interface for an old Y1999 Celestron Nexstar 5 telescope. 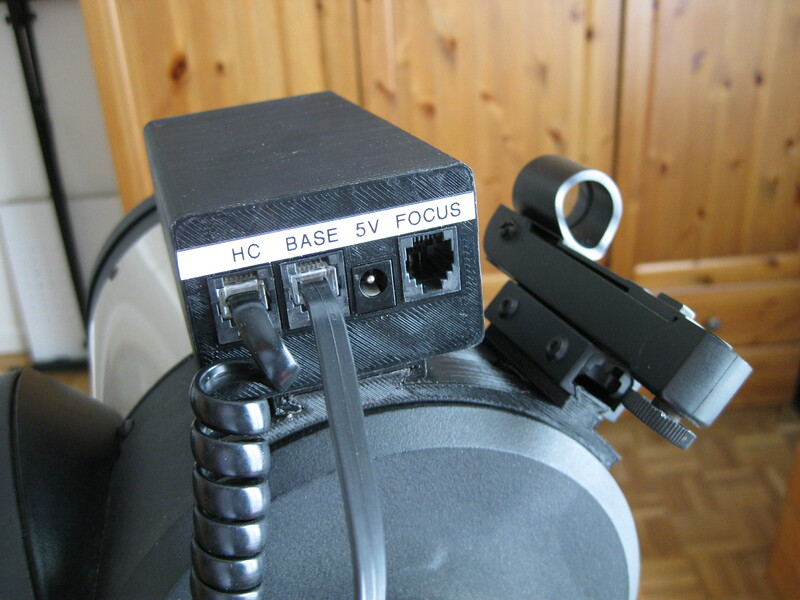 The interface box is connected between the handcontroller and the scope mount. 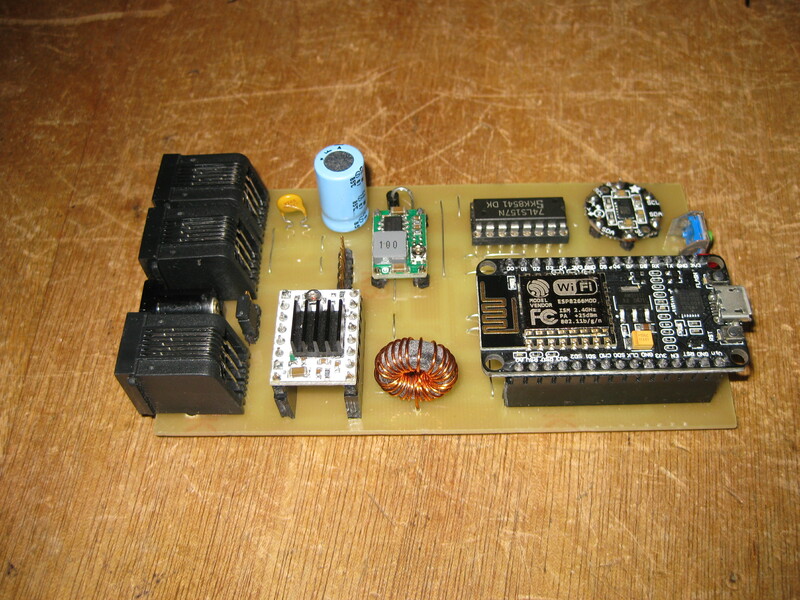 The “brain” is a NodeMCU ESP8266 module with a dedicated software. I am using ESPUI for the web interface. Currently the system is not very stable and is hanging randomly when using the Celestron mount power supply. Looks like the current peaks caused by Wifi transmission are disturbing the serial link. 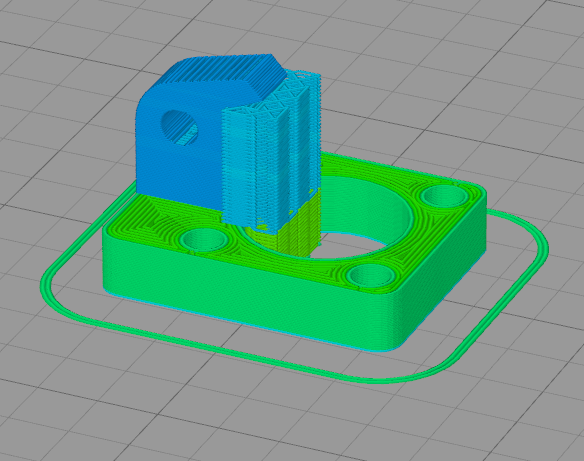 I plan to add an additional GND wire to decrease the impact of current peaks. The tricky part of the project was understanding the transmission protocol. This is basically a master/slave synchronous proprietary protocol. 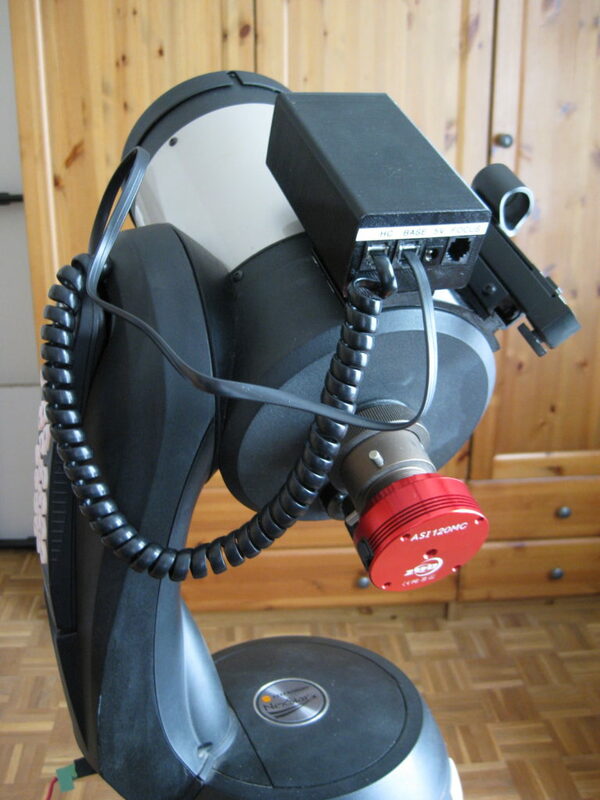 I have spent hours with a logic analyser before being able to sent my first commands to the telescope controller. The interface box is connected between the base and the handcontroller so that manual operation remains possible. 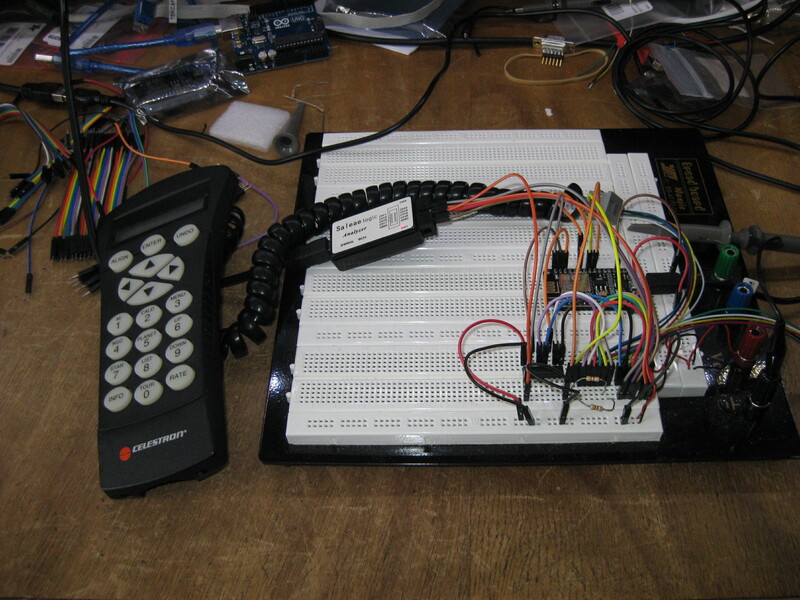 As the master is the handcontroller, or the wifi box, there is potential conflicts on the serial bus. I have designed an algorithm for detecting manual operation request and switch back the MUX (74LS157) to the handcontroller when required. The automatic location configuration is based on geo-IP. That is ok for landline connections I have tested. However, there is an issue when using mobile phone for Internet connection because the geo-IP location is not accurate enough. I will add manual location setting in the future. 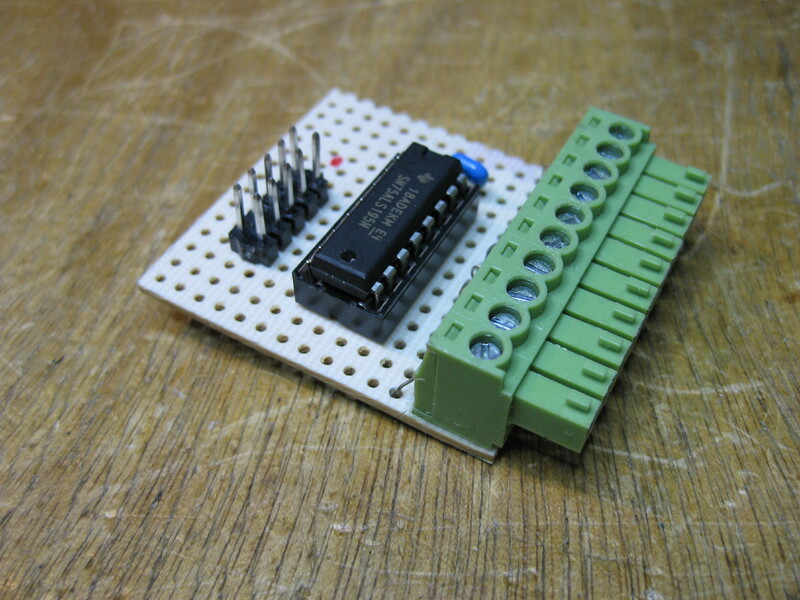 Here is the breadboard based prototype used to tune the electronics. The software is working with this Y1999 handcontroller release. Few years later, the handcontroller electronics and protocol has been modified and is not compatible. 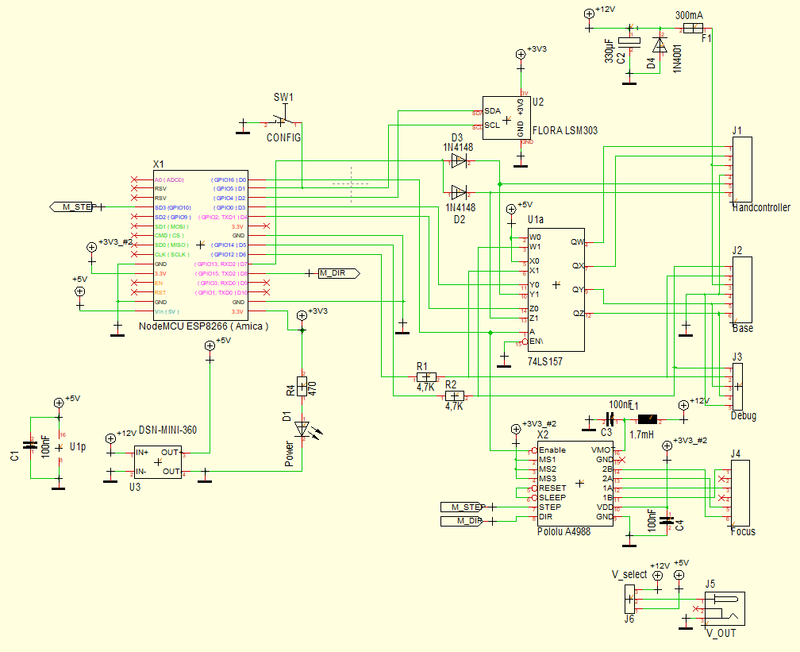 The current schematic diagram (edited on Target!3001 EDA). 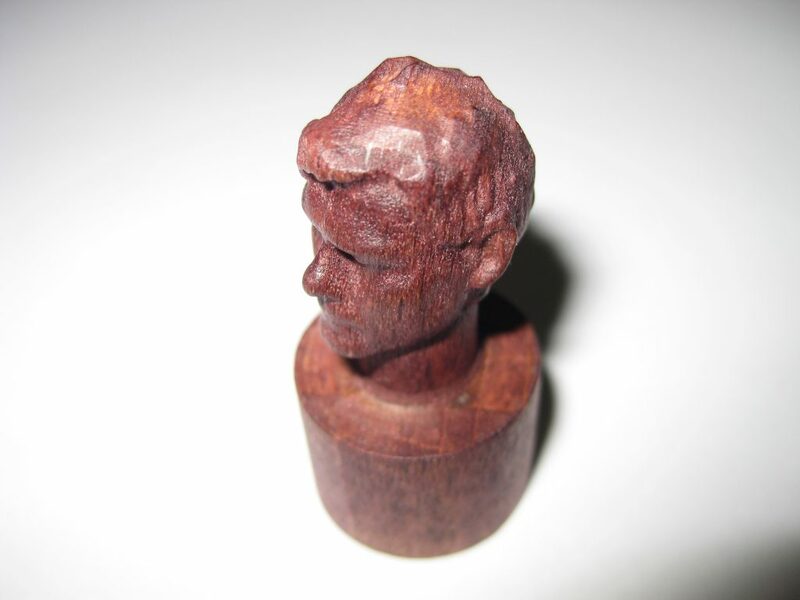 I will publish more stuff when I have achieved good system stability. 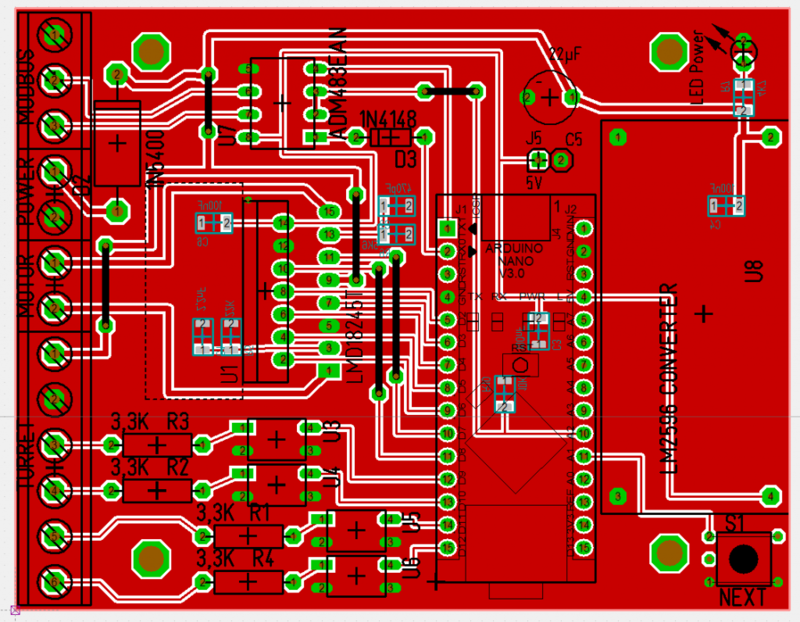 The goal of this project is to add a PLL lock detection feature to the original GPSDO design by G3RUH (http://www.jrmiller.demon.co.uk/projects/ministd/frqstd.htm). 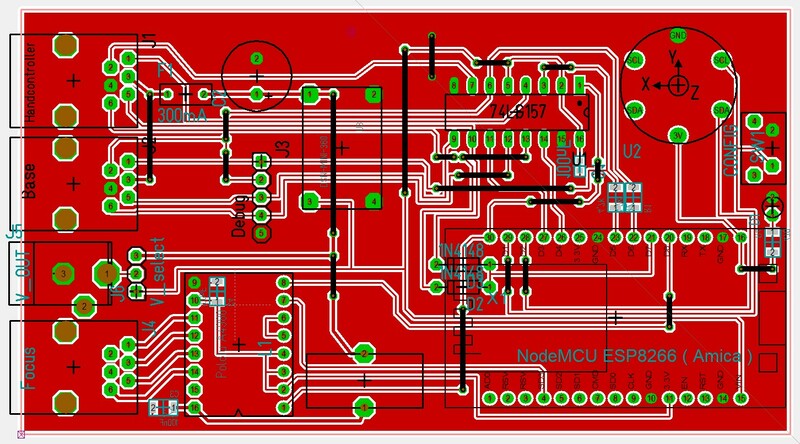 I have modified the PCB by adding a lock detection circuit based on the monitoring of the PWM signal used to drive the OCXO VTUNE. 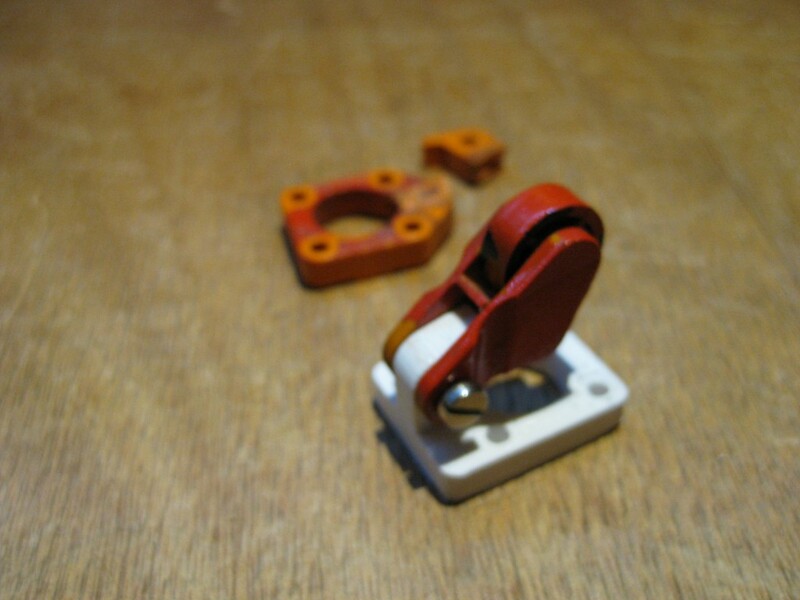 A spare XOR gate of the 74HCT86 is used to output this signal on the DB9 pin 9 without disturbing the analog loop. 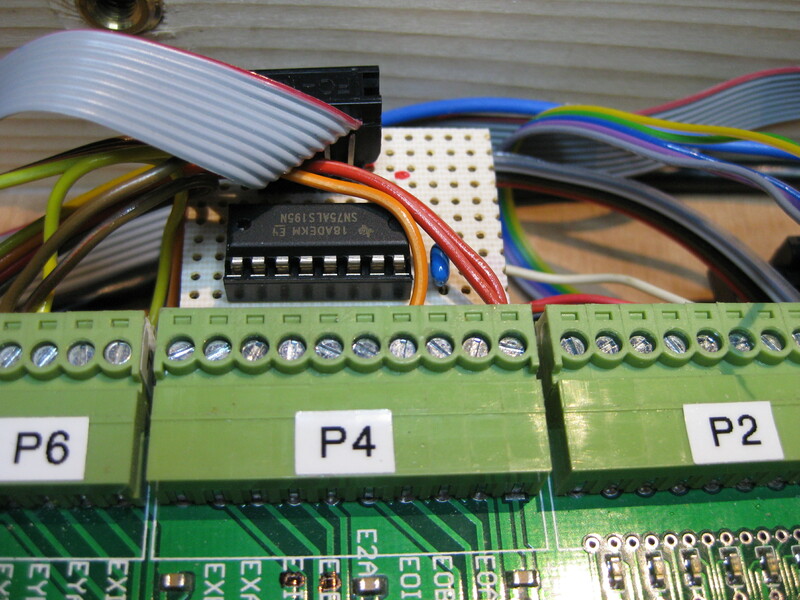 The lock detection job is done by a PICAXE-18X MCU and a 1K/10µF RC filter connected to the analog input (0-5V range). 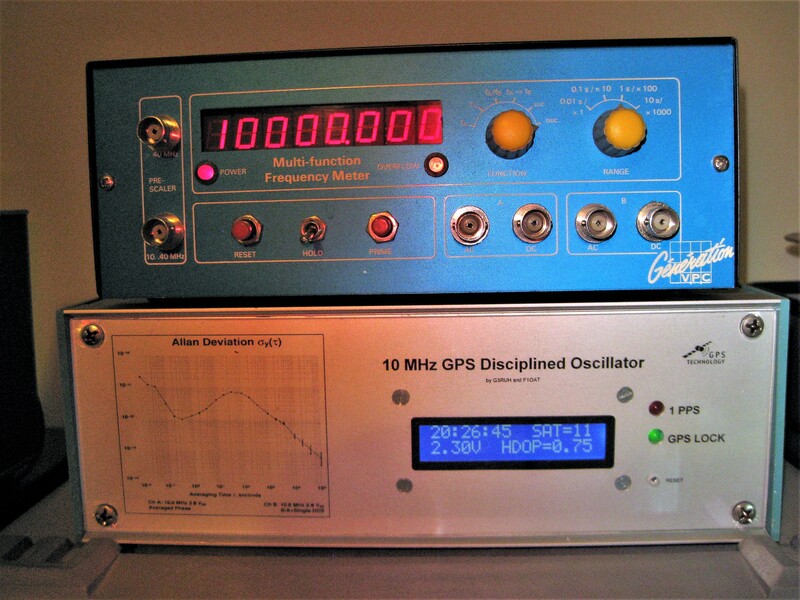 The lock condition is detected by measuring the stability of this signal over 1 minute. Alternatively, one can measure directly the PWM duty cycle with the counting feature of an MCU. 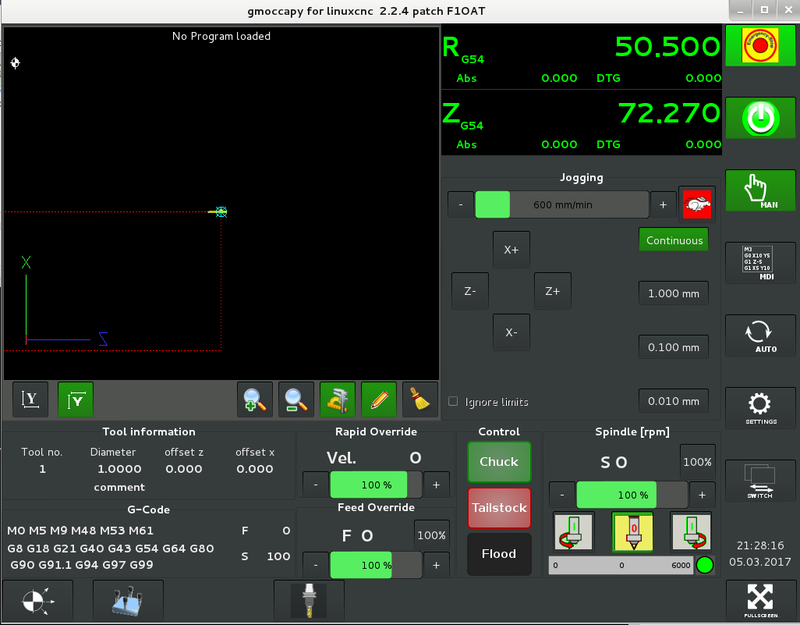 That is not the solution I have chosen because the PICAXE pulse width measurement feature does not provide enough resolution. 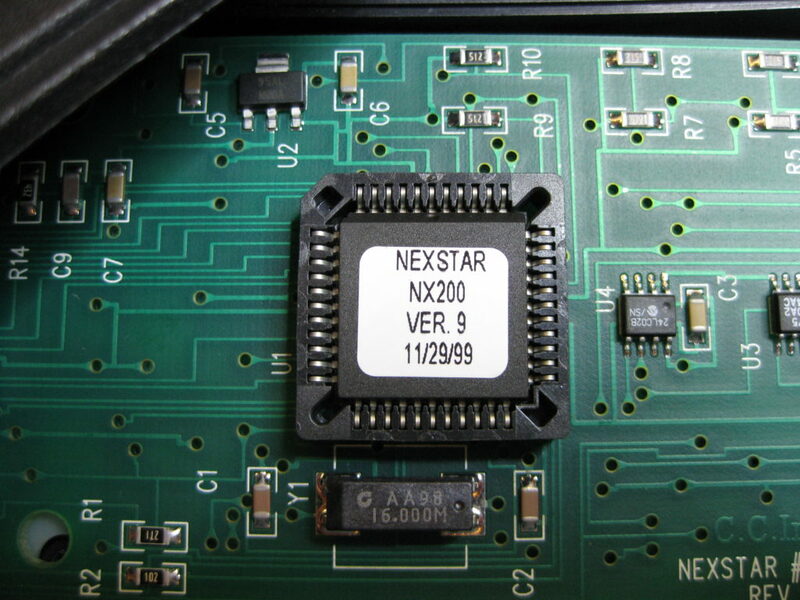 Additionally, the GPS NMEA output is monitored for satellite and GPS signal quality reporting. 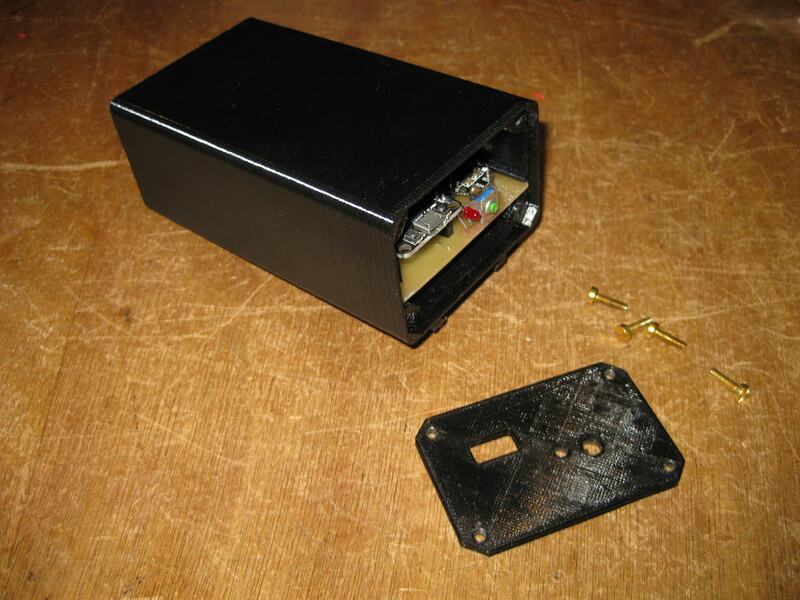 Everything has been integrated in a nice aluminium enclosure with DIY face plate. 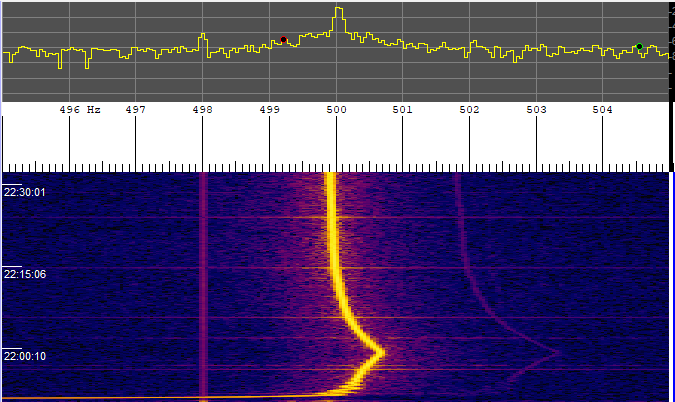 Here is the spectrogram of the 10 MHz output monitored with an ANAN-100D TRX and SpectrumLab. The GPSDO needs about 30 min for stabilization. 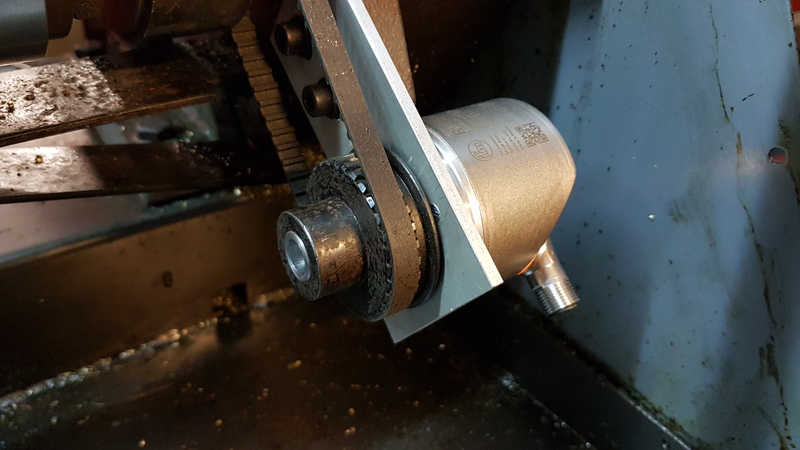 Mounting of a new spindle encoder with high resolution (1024ppr) and quadrature output. 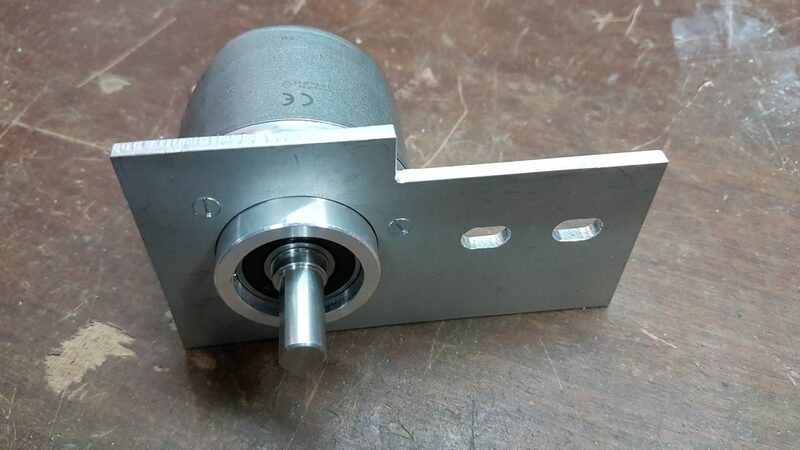 The encoder is a RVP510 from ifm. Work in progress: a dark theme for Gmoccapy! 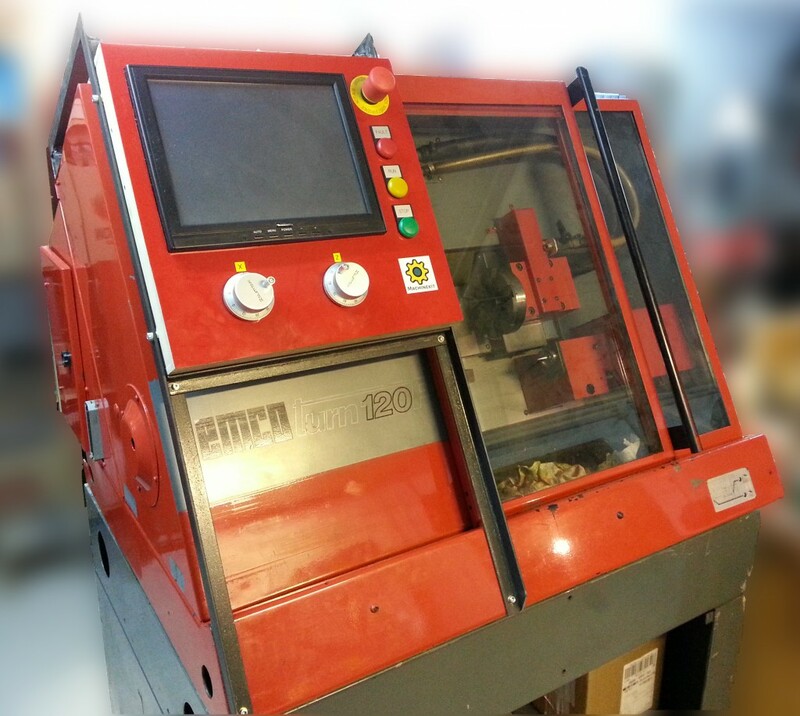 This is a DIY controller for the original Emco Turn 120/220 toolchanger. Many thanks to Tom for the original Toolerator 3000 design that inspired EATC-120. The little support for the lever of the door switch is broken. Trying to glue it without success. 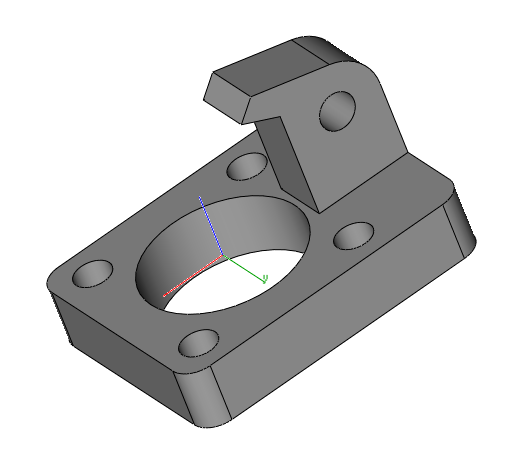 So, I switched to a 3D printed spare part! 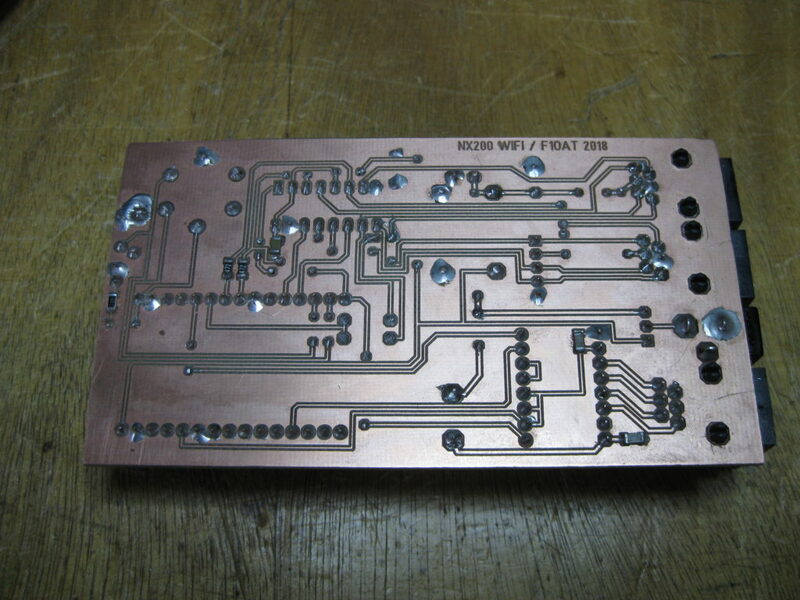 The EATC-120 module is almost finished ! 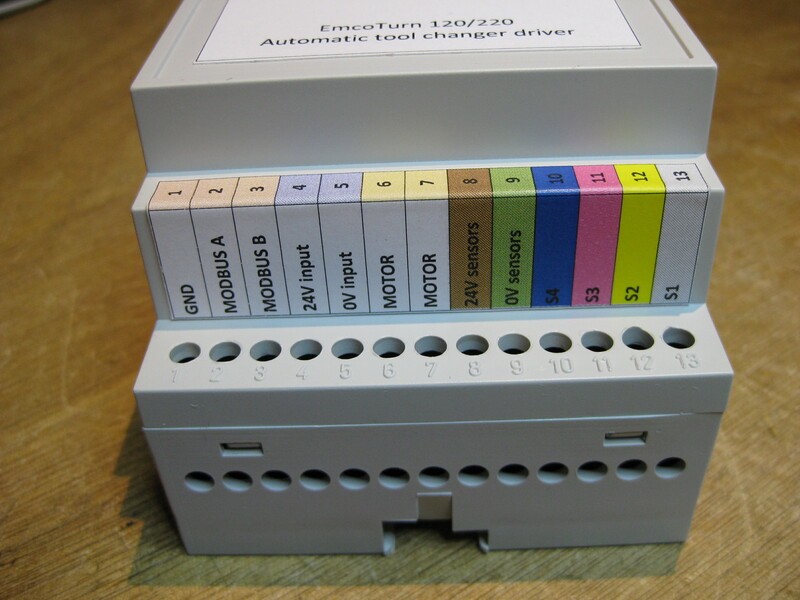 This is a driver for the EmcoTurn 120/220 original 8 positions ATC. 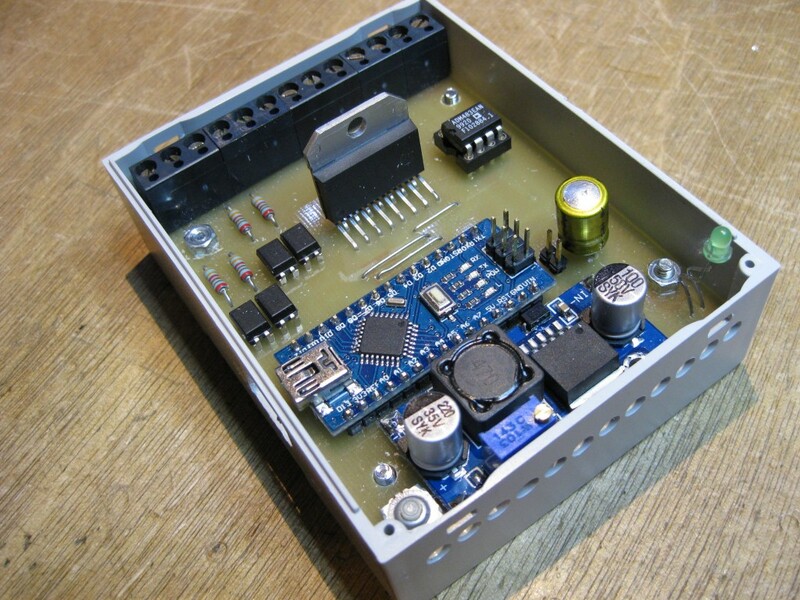 This design is derived from the excellent Toolerator 3000 USB controlled driver. 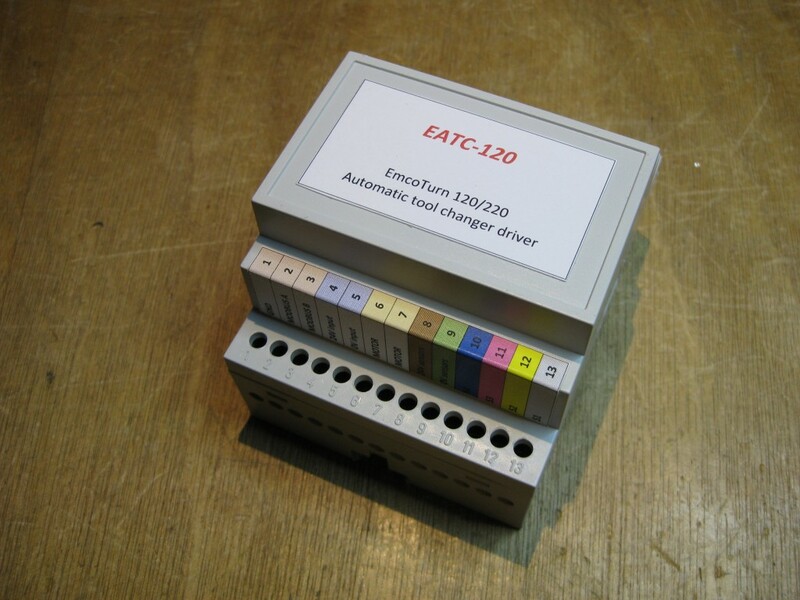 EATC-120 is adding MODBUS capabilities for easy integration with an industrial environment. 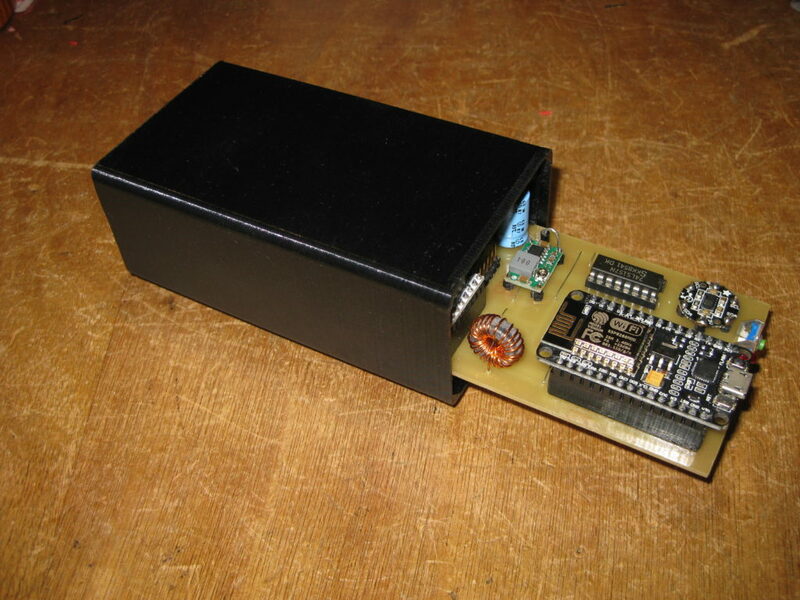 Single 24V power supply with embedded 5V DC/DC converter. The “brain” of the module is an Arduino Micro. 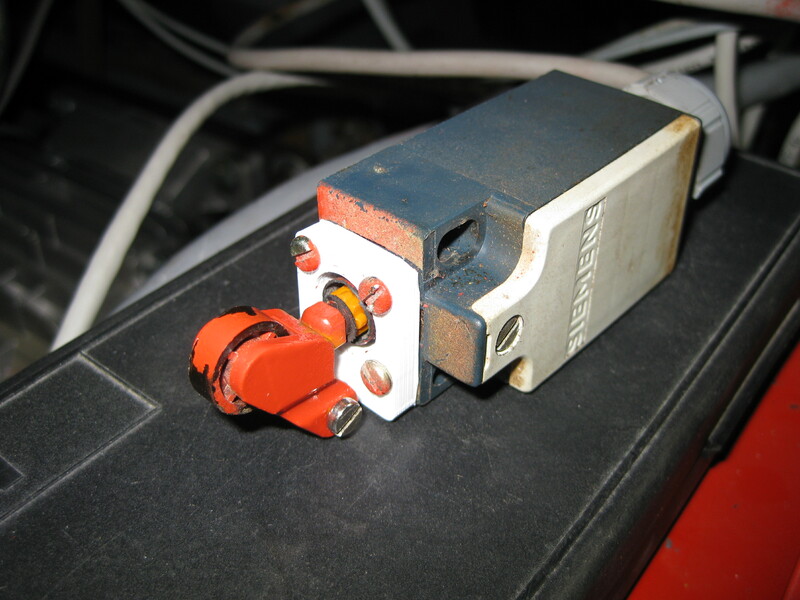 The motor is driven by an LMD18245T providing current control. The lock status is automatically detected by measuring the peak current when the motor stalls. Everything is reported in MODBUS registers. 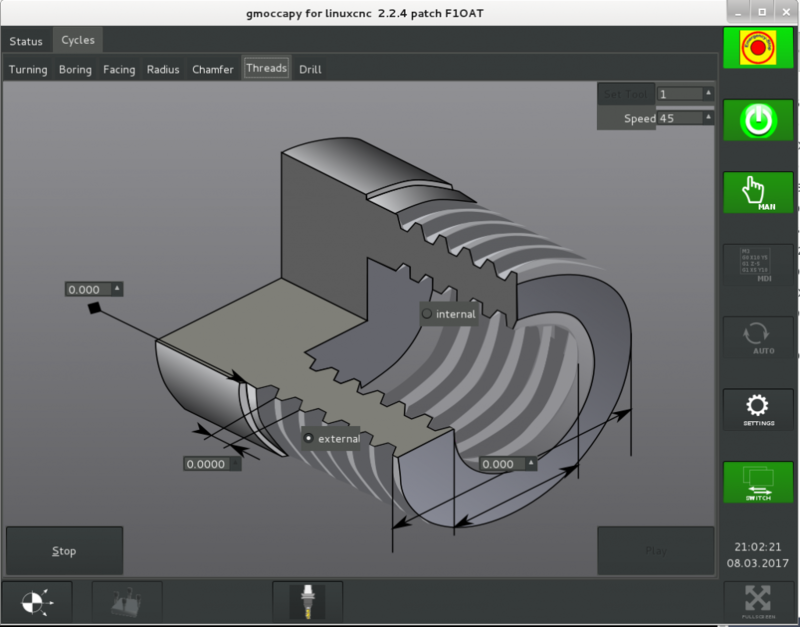 Integration with Machinekit/LinuxCNC is easy thanks to “mb2hal” HAL component. 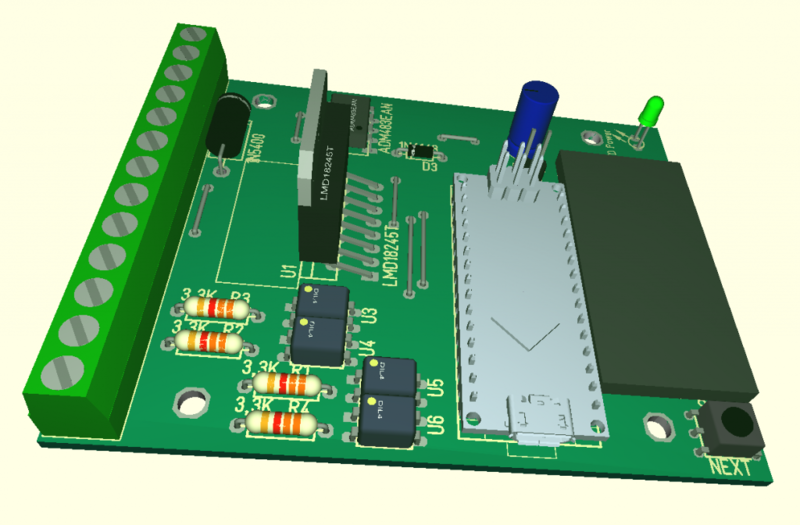 I have found a nice empty DIN rail enclosure and designed a special PCB to fit with it. 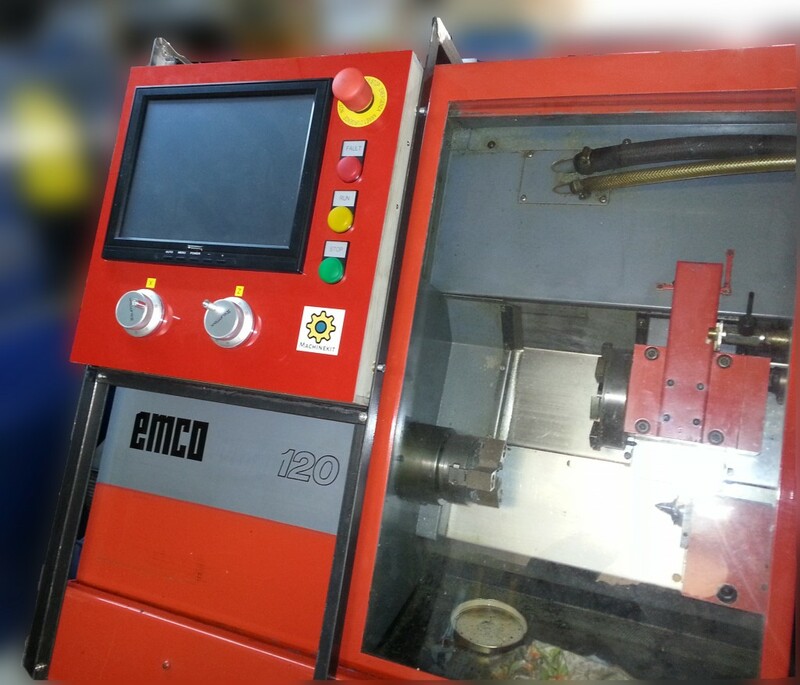 I need to finalize integration and test with my Emco lathe before publishing. 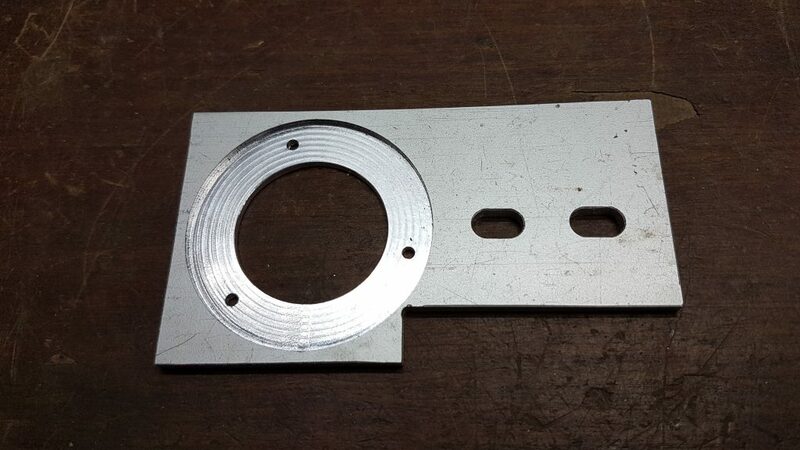 Just built a strong bracket for the control panel. 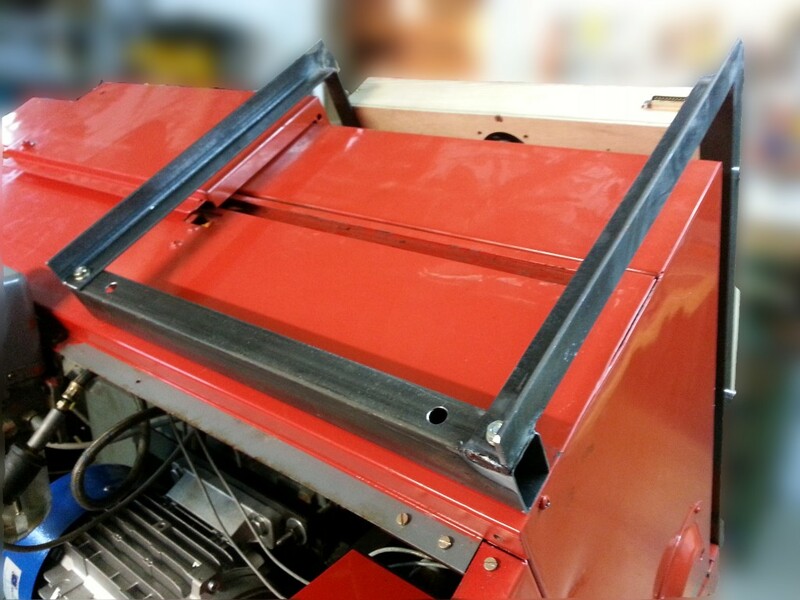 The door can slide freely under the panel. Nest step is electrical cabling of the link between the control panel and the motor controllers.